Log into your Florida Polytechnic University application account to submit your wait list preference. Why was I wait listed? Over the years, Florida Poly has received an increasing number of applications from extremely talented students with highly competitive academic records. Because our objective is to maintain small average class sizes and a faculty-to-student ratio that is consistent with outstanding learning and teaching in technology and engineering, we deliberately keep our class size low. In such a competitive environment, and with a limited number of first-year spaces, we are not able to admit all the students who have strong academic credentials. Is being placed on the wait list the same as being denied? No. “Denied” means that Florida Poly has decided to not admit a student. Students placed on the wait list are neither admitted nor denied, and depending on our class needs, some of these students may be offered admission at a later date. What are my wait list options? Select the one semester for which you are willing to be placed on the wait list. It is recommended to select both fall/spring as an option to improve your chances of admission. No wait list: If you are not interested in joining the wait list, please select this option. NOTE: Please be sure to reply to the Wait List Response Form as soon as you can, the earlier the better, but no later than Feb. 1 for students who applied prior to Jan. 31. Students who applied after Jan. 31 must respond within two weeks to the Office of Admissions if they would like to be placed on the wait list. How many students are wait listed and were selected for fall admission in the past? Many factors contribute to how our staff makes an admission decision, and so each year’s incoming class is unique. For this reason, the makeup of each year’s wait list is likewise unique. The number of students placed on the wait list will vary from year to year based on our pool of applicants. Applicants who submit wait list responses will be notified between Feb. 1 and May 15. What number or ranking am I on the wait list? The wait list is not in numeric order and wait listed applicants are not ranked. 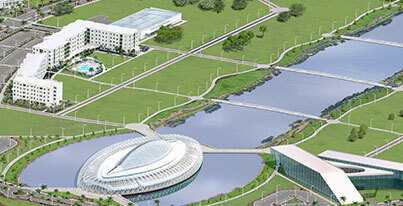 Florida Poly is my first choice university. Does that help my chances of being selected from the wait list? While we are delighted that Florida Poly is your first choice, in addition to submitting the Wait List Response Form as early as possible, retaking the SAT or ACT to improve your score would may factor in the decision if you choose to test again. Our primary focus will be on the strength of your academic portfolio. The best way to enhance your chances is to reply to re-take the SAT or ACT and submit the Wait List Response Form as early as possible. Which students will be selected first from the wait list? The university’s primary focus when making admission decisions is to craft an incoming class that we feel is prepared to be successful in our challenging STEM curriculum. We also want to ensure that we maintain a learning environment that helps foster success in those challenging programs, such as keeping our class sizes small. With these factors in mind, the university will decide whether to begin admitting students from the wait list once we have an understanding of the number and nature of the students who are anticipated to enroll. Students selected first from the wait list will be those who reply to the Wait List Response Form early and who opt in to being on the wait list for the fall or spring term. We encourage students to retake the SAT and ACT as well. Does Florida Poly want me to send anything else to the Admissions Office? We encourage wait list students to retake the SAT or ACT and email your unofficial results to your admissions counselor at your earliest convenience (we will require the official scores later). If you receive an academic award, publish research, earn new test scores (SAT Subject Tests, new SATs or ACTs), or have an updated transcript, you can email those documents directly to your admissions counselor. Please do not send academic information that we received previously. Sending emails or letters that do not include updated academic records or achievements, visiting our office, asking others to contact us on your behalf, or offering to pay the enrollment fee immediately will not strengthen your chances. Students on the wait list may be offered admission to the fall or spring term. To ensure that you will be eligible to be considered for admission in either the fall or spring, be sure that the Wait List Response Form is returned by the deadline and you select spring or both. You’ll also want to be sure that your grades and courses on the final high school transcript are recent, up-to-date and consistent with what you reported on your Self-reported Student Academic Record (SSAR). When and how will the university start selecting students from the wait list? Students will be notified of their status off the wait list between Feb. 1 and May 15. Students will be contacted at the telephone number and/or email address listed on their application. For students who indicate interest in being admitted, we will provide them with an admission decision and, if admitted, ask them to make a commitment to the university within two weeks. If the student decides not to accept our offer of fall/spring admission, we ask to be notified promptly so the spot can be offered to another student. Should I accept another school’s offer of admission? And isn’t May 1 the national deadline for students to notify colleges and universities that they will be enrolling for fall? Yes, depending on the time of year, you should consider alternative college plans since there is no guarantee that we will be able to offer admission from the wait list. Notifying Florida Poly of your interest to be placed on the wait list is not a commitment to enroll. Students will still have until May 1 to deposit. If the university goes to the wait list, will I be notified when the fall class is closed and no more students will be selected? Yes. This notification will be provided in the summer. If I’m selected from the wait list and decide to enroll for the fall, and I’ve paid an enrollment fee at another college or university, will the other institution refund my fee? It is unlikely that you will recover the cost of your enrollment fee, as these are typically non-refundable. Colleges and universities have specific policies about deposits, most of which are non-refundable. Students admitted off the wait list will be eligible for a $500 academic grant to be applied toward tuition and fees at Florida Poly. I’ve heard that if I’m wait listed I will be offered spring admission (for the semester that begins the following January). Is that true? At this time we cannot guarantee that we will be able to accommodate all students who indicate an interest in attending Florida Poly in January. Once we have closed the fall class we will contact all students who have expressed interest in the spring option and detail their next steps. If I indicated that I may be interested in the wait list, is that a commitment to attend? No. Checking one of the options related simply informs the Office of Admissions that you are interested in attending Florida Poly beginning in either the spring or fall term. If your grades and courses on the final high school transcript are consistent with what you reported on your Self-reported Student Academic Record (SSAR), and there are no additional disciplinary or criminal violations, you will be considered for the spring semester. We encourage wait listed students to retake the SAT or ACT. If I’m interested in the spring semester at Florida Poly, may I enroll at another college, where I was admitted, for the fall semester? Yes. You may enroll at another college or university during the fall semester before joining Florida Poly in the spring, and it is advisable to seek guidance as to which courses are best so they may transfer in to Florida Poly. Be advised that you will want to ensure successful completion of the courses you enroll in during the fall semester, as we may ask to view the final grades from those courses when considering admission for the spring semester. Am I required to enroll at another college or university for the fall semester in order to be eligible for spring consideration at Florida Poly? No. While most students enroll elsewhere in the fall, it is not required. What courses should I take at the other college or university during the fall semester? All students interested in joining Florida Poly for the spring semester and who will be attending another institution in the fall should consult our online course catalog to find the courses that would be transferable upon enrolling at Florida Poly. Students should especially seek to take math or science courses during the fall semester, as success in those courses will both strengthen your application and prepare you to be successful in our STEM programs. How will I find out if my fall courses transferred to Florida Poly? Courses taken at other institutions will be evaluated after you enroll at Florida Poly for transfer credit in accordance with established policies. Students need to submit an official college transcript to Florida Poly as soon as it becomes available. It will be helpful to your Florida Poly academic advisor if you bring a copy of your fall class schedule or an unofficial copy of your transcript to your New Student Orientation session in January. Will I attend an orientation session before the spring semester begins? Yes. More information about orientation dates and processes, including information about on-campus housing, will be provided the preceding November. Will other freshmen be starting in the spring? Yes. Approximately 40 first-year students begin their Florida Poly careers in the spring semester, so you would not be alone. Is housing provided if I enroll at Florida Poly for the spring semester? Yes. Housing is provided on a space available basis for first-year students who request on-campus housing and who pay the enrollment fee by the designated deadline. What about financial aid for students who enroll in the spring? We encourage students to file the FAFSA form and to list Florida Poly as a recipient of FAFSA information. For further information, please contact the Office of Financial Aid at 863-874-4774, by email to financialaid@floridapoly.edu, or visit the website. If I enroll in another college or university for the fall semester and decide to remain there for the full year (or longer), may I defer my spring Florida Poly acceptance to a later semester? No. As a waitlisted student you may complete up to one semester’s worth of credit at another institution during the fall semester.